General Strike, March 29, 2012. Barcelona, Spain. Thousands of workers took to the streets in the eighth general strike to protest against labor reform the government's Mariano Rajoy. 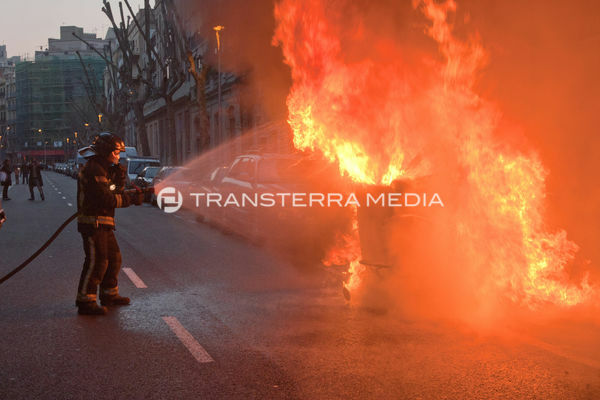 Firefighters put out the bins on fire during the course of the demonstration.